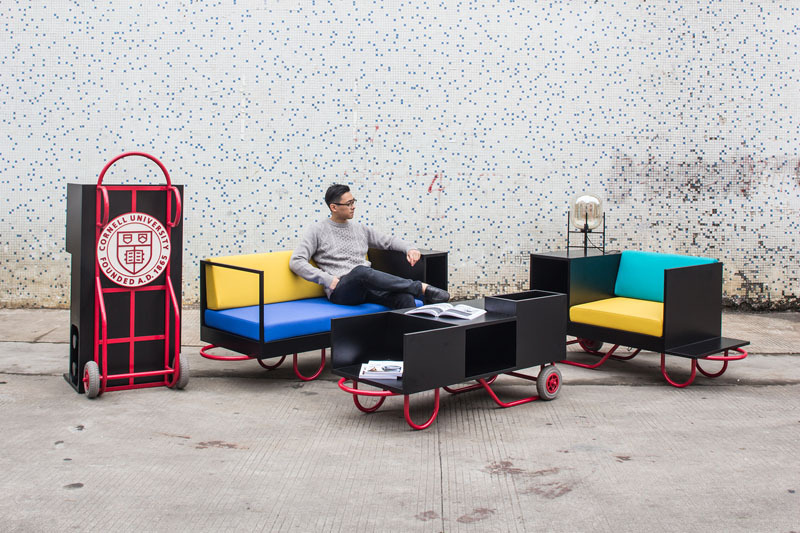 Founder of CL3, William Lim, as well as Vincent Lim and Elaine Lu of Lim+Lu, have created the Push/Pull portable furniture series for Cornell University in New York. 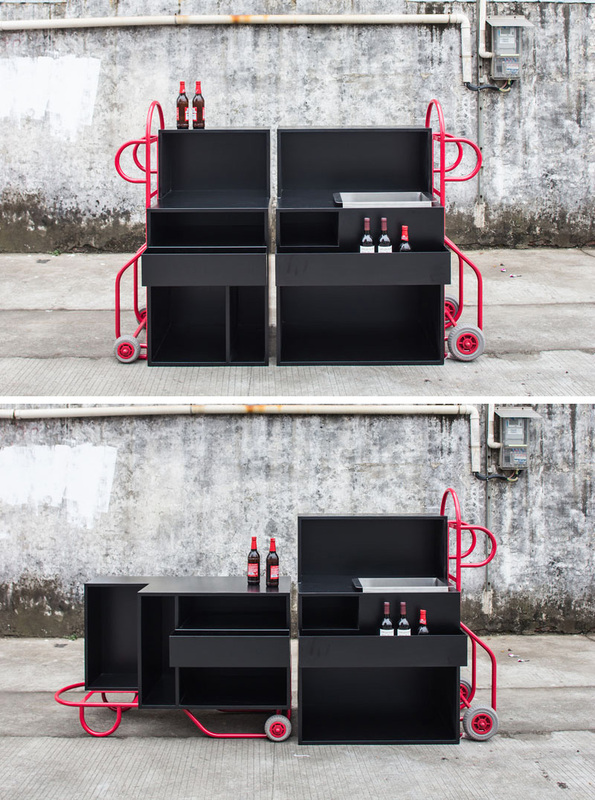 The aim of the project was to create modern portable furniture using pushcarts. 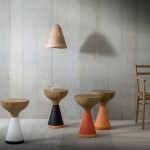 The collection has 12 pieces that can be used in a variety of different ways. 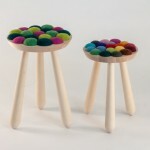 Easy to move, the pieces can be rearranged and brought to different spaces. With each new day, the furniture can be moved to accommodate for different tasks. Made from powder coated stainless steel and vinyl upholstery, the Push/Pull multipurpose furniture line is sturdy and colorful. 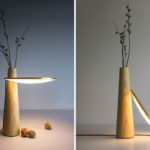 Each piece can be used in various way. When not being used as a sofa, this furniture piece can be stored vertically and used as a coat rack. Furniture pieces can be placed beside each other to create an elongated space used for various tasks, such as a wine bar. 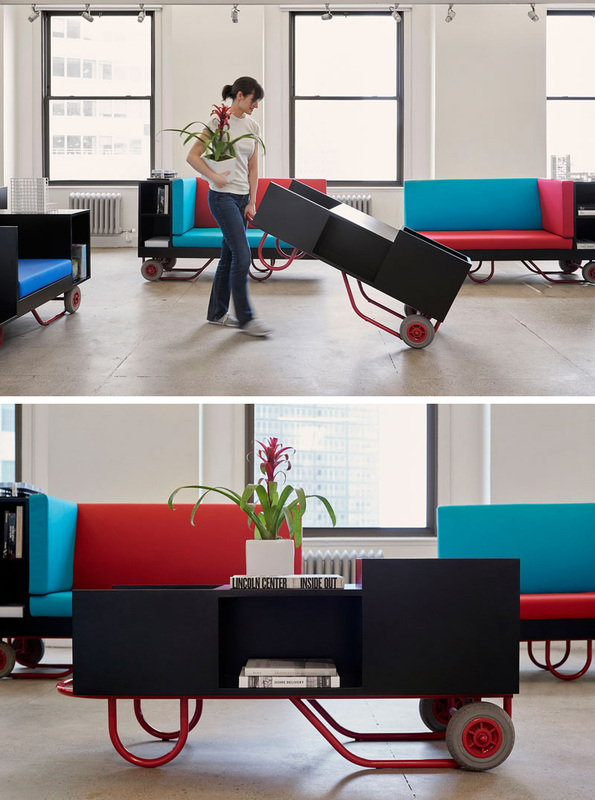 Lined up and tucked away, this portable furniture line barely takes up any room when not in use.